One of the things I love most about teaching this time of year is how much my students have grown both in maturity as well as academically. 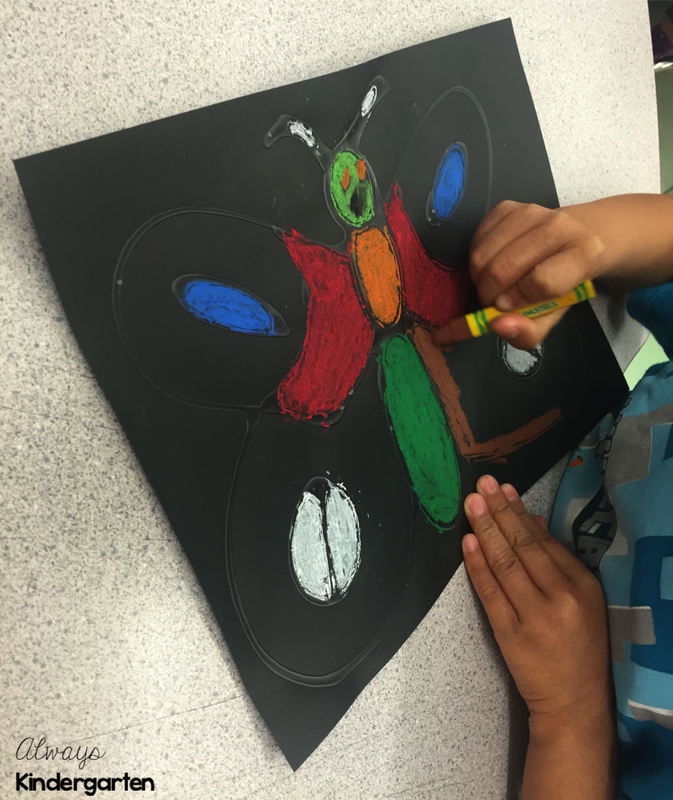 We are able to do so many more exciting activities and one of my favorite units is our two week study of insects and butterflies. 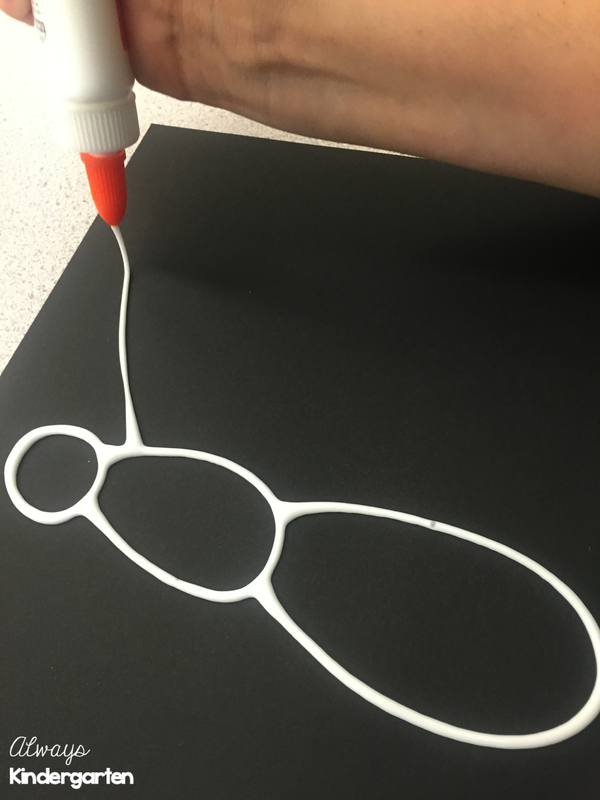 This simple art project takes a little time to prep but the results are beautiful! - Black construction paper (I use 9x12in pieces). 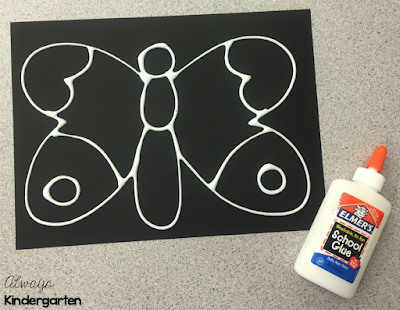 Using the white glue, create a butterfly outline on the black construction paper. Allow them to dry overnight. Step 2: Students use oil pastels to color in the butterfly wings. 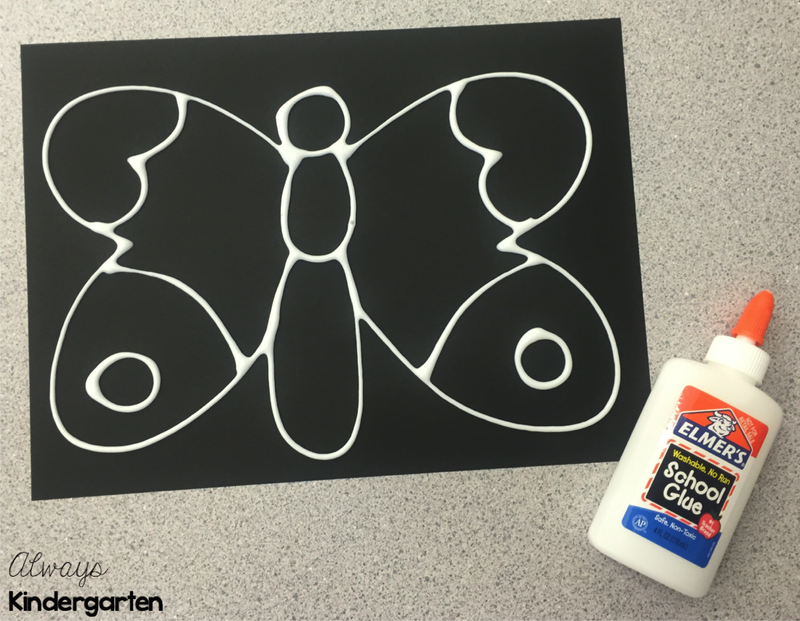 We talk about symmetry and how butterfly wings are the same on each side. 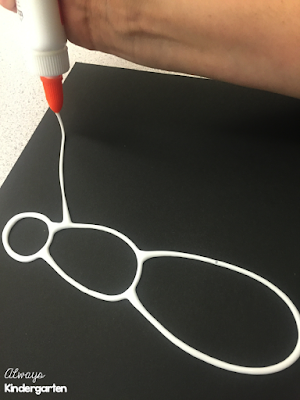 Step 3: Cut them out and display! I love how different they all are and how much color they bring to the classroom! 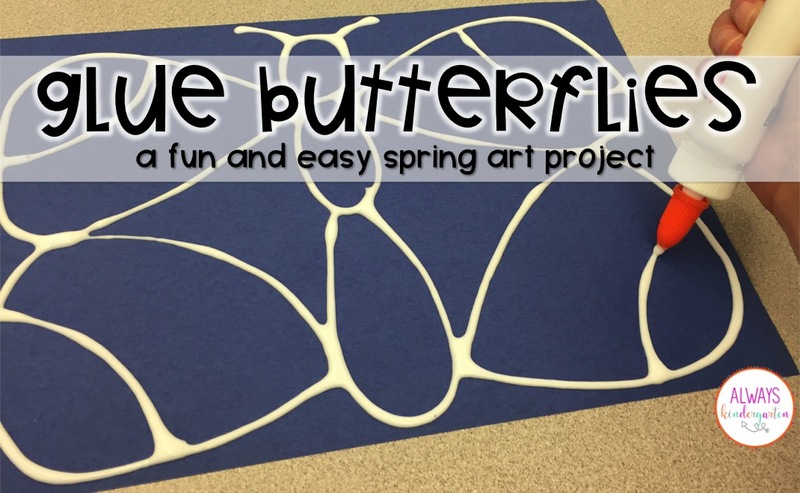 Do you study butterflies in your classroom?